A wonderful venue that let's you relax and simply enjoy your day. 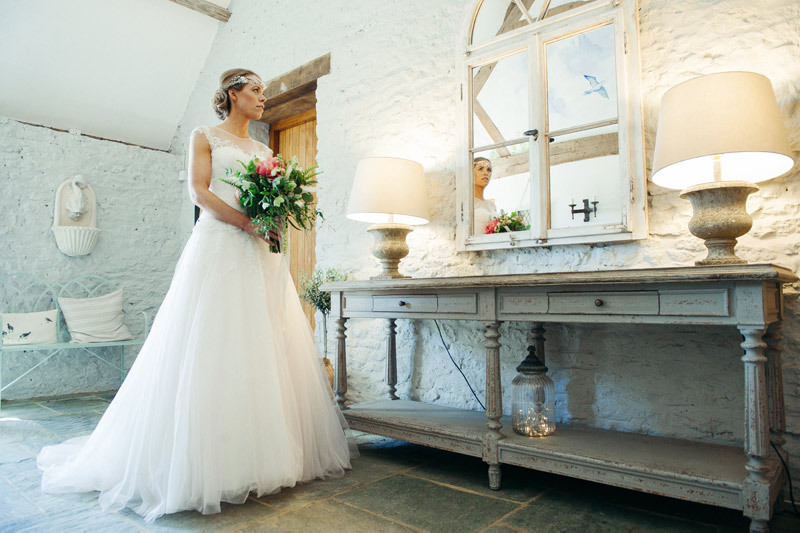 Our newly built Bridal Preparation Room is the perfect place to get ready on the morning of your wedding. Cathy has created a calm and relaxed space for our brides to enjoy while the anticipation builds. You'll find a make-up counter with Simple Human mirrors, bathroom stocked with Jo Malone products, comfortable armchairs, hooks set high to ensure wrinkle-free dresses and, of course, a full-length mirror to admire the full effect once dressed! The venue has a ceremony license for 90 guests. 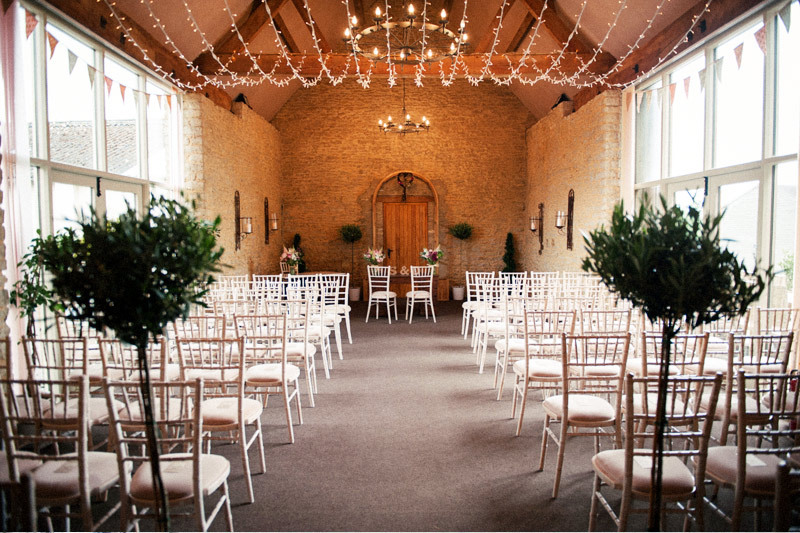 You can have a traditional straight walk down the aisle, as pictured here, or you can have a half moon shape, or any other formation you wish. With guests seated in a lovely half moon shape, everyone has the best seat in the house. Framed by the barn doors, the registrar will lead you through your ceremony. We're licensed by Oxfordshire District Register Service. All ceremonies need to be booked with their registrars. They can be reached on the helpdesk number: 0345 241 2489. Or on the front lawn if we're lucky enough with the weather! Everything where you need it: your drinks, your guests and a light airy space to enjoy it in. But, if the English weather is kind enough, the front lawn and courtyard is amazing for photos and drinks. 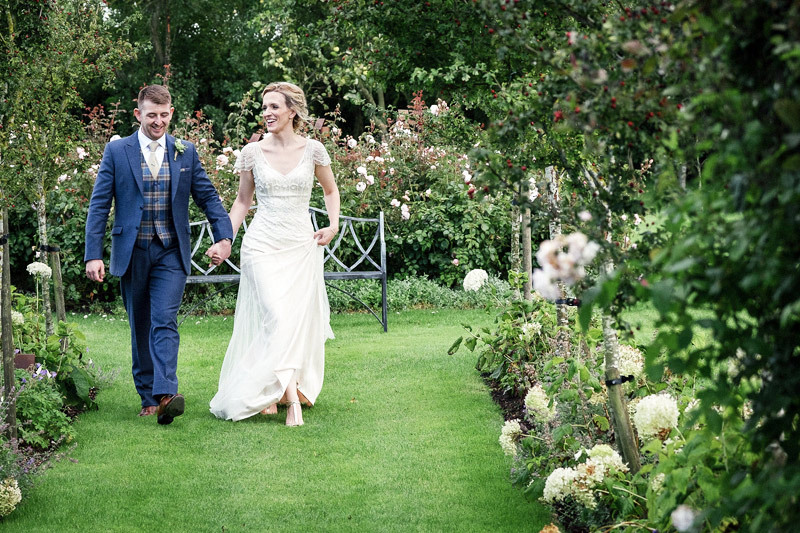 There are numerous photo opportunities in the Wigmore's private garden, the tree lined driveway and the front lawn that's flanked by roses and lavender. 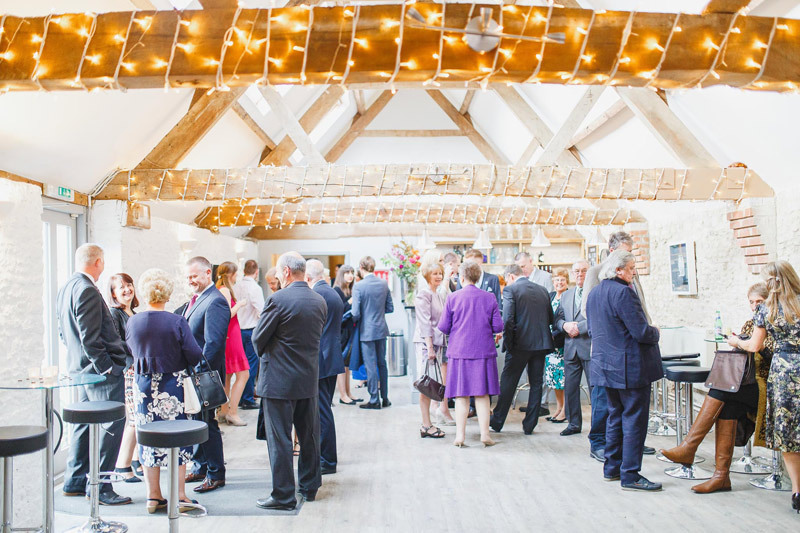 While you're having drinks and photos, we'll be busy transforming the Main Barn from ceremony to wedding breakfast. The barn seats 80 guests comfortably - but can fit 90 if you're happy to get cosy with your guests. 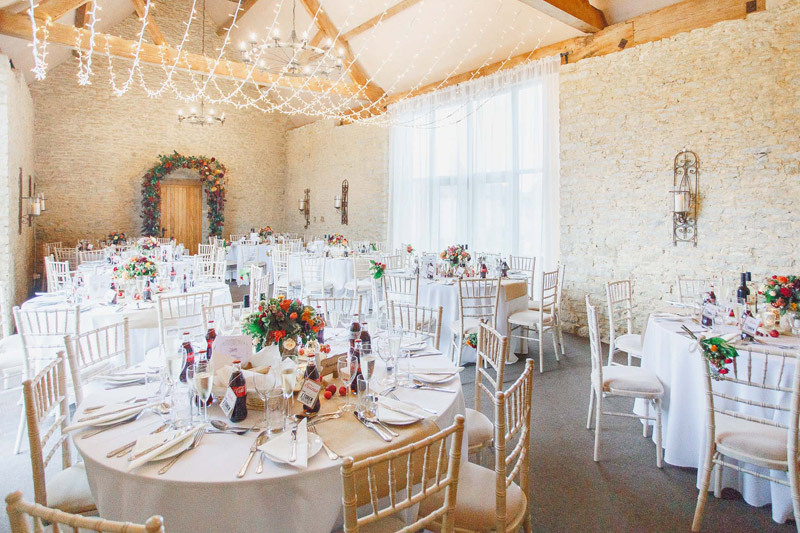 At Stratton Court Barn we let you choose from a list of approved caterers to suit your particular requirements and budget. Your entertainment (band or DJ) will set up while you're enjoying your meal and speeches. We can host up to 150 guests for an informal evening reception. The stocked and staffed cash bar is open from an hour before your ceremony until 11.30pm. Arrival drinks, wine with the meal and Prosecco for toasting can be pre-ordered at a discounted rate. A charming space on arrival. Perfect for your guest book and card box. And perhaps a photo booth at night! 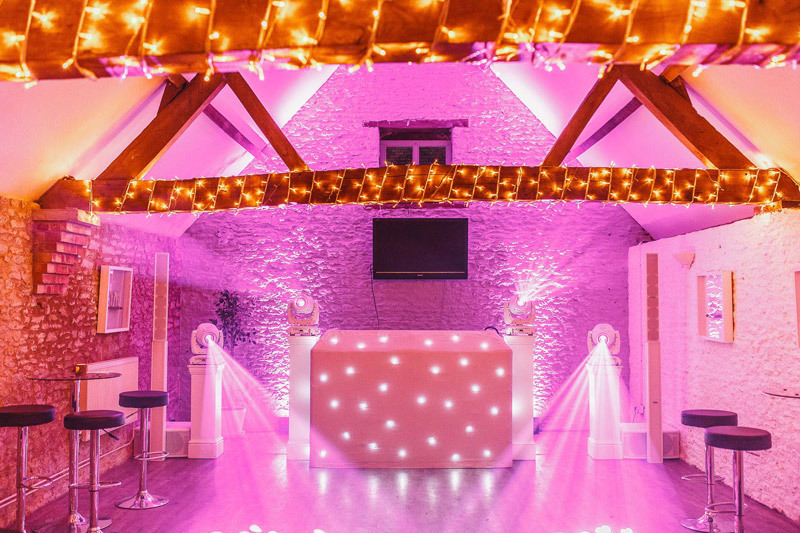 Ladies, Gents and Disabled with baby changing facilities, all situated on ground level within the barn. 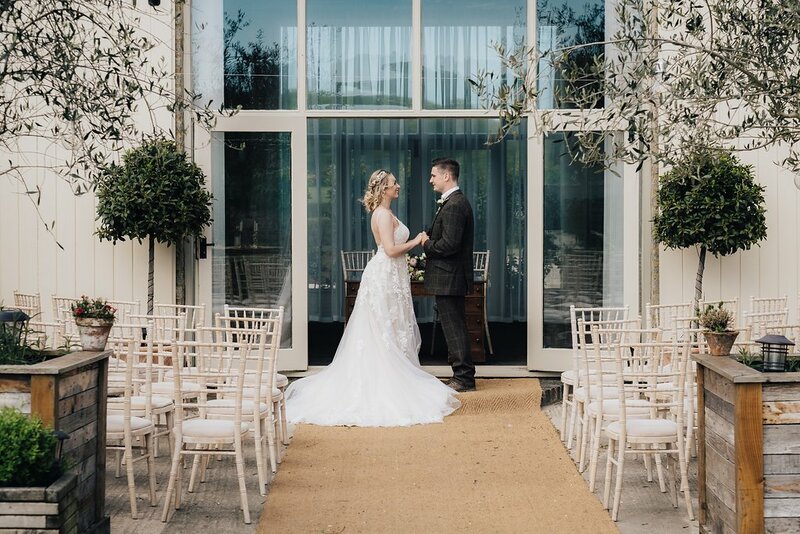 Please get in touch with our lovely Wedding Coordinator Karin Tindall on 07807 645048 or 01869 278899 to discuss your requirements in further detail.